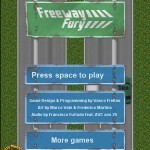 Car Action Driving Arcade Crazy Monkey Games Click to find more games like this. 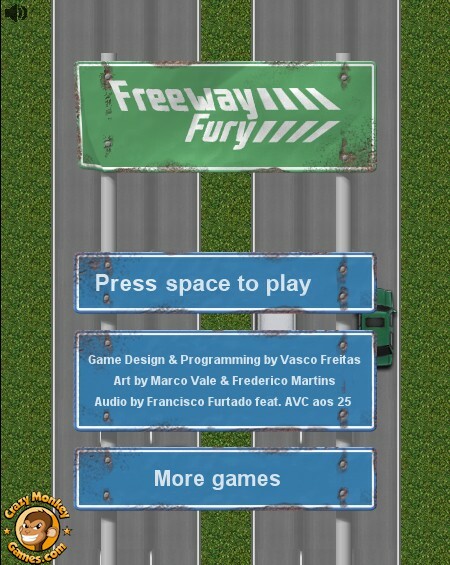 Your goal in this cool driving game is to reach the finish line driving your car fast, jump from car to car, slam other vehicles and use nitro boosts to gain ultra speeds. 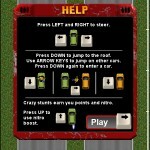 You can gain nitro boost by jumping onto other cars, driving into oncoming traffic, and a variety of other crazy stunts. Only thing you can't do is brake. 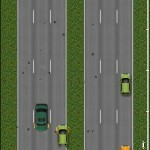 Use LEFT and RIGHT ARROW KEYS to steer. 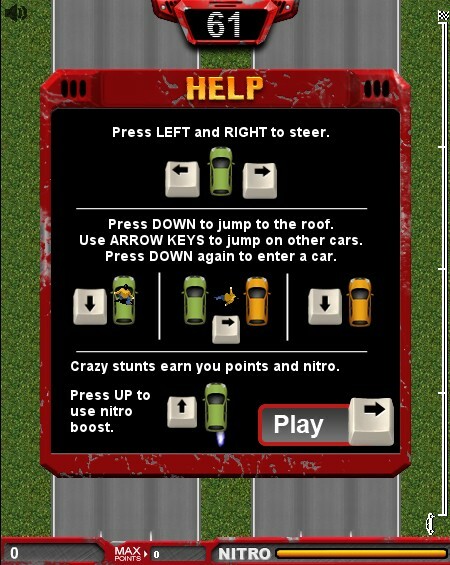 Press UP ARROW KEY to use nitro. 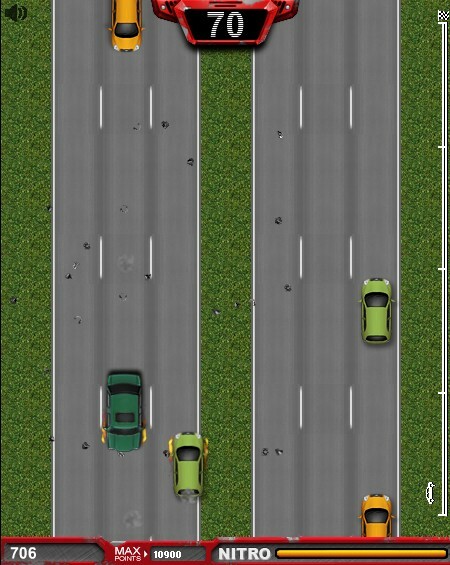 YOu can also hijack other cars, just press DOWN ARROW KEY to jump to the roof. 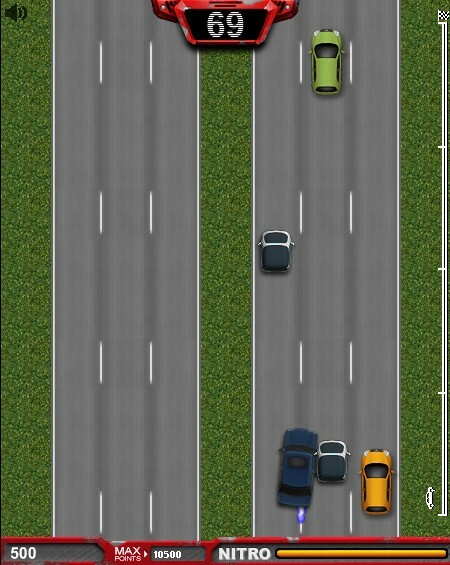 Use UP ARROW KEY to jump on other cars. Press DOWN ARROW KEY again to enter a car. Have fun!